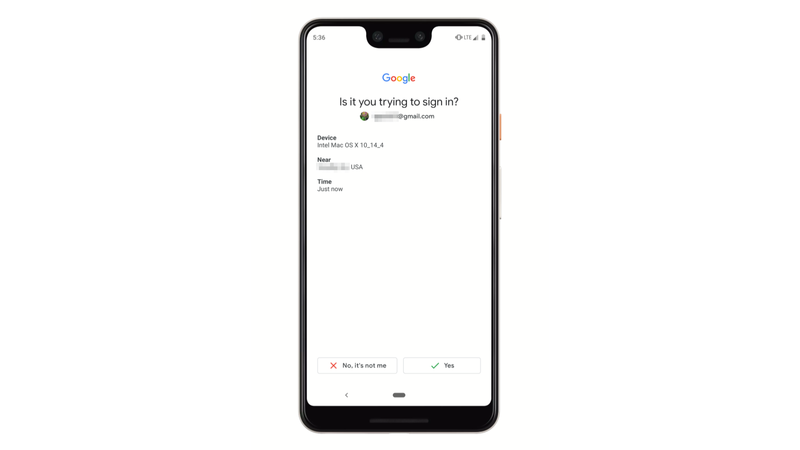 Two-factor authentication is something that everyone should have on their Google accounts, but the traditional SMS and Google Authenticator methods can be a bit tedious. 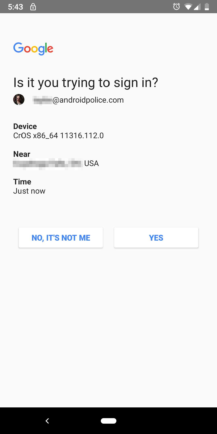 Back in 2016, Google added a new two-step verification approval prompt for Android devices that is painless to both set up and use. The prompt has gone through several design revisions since its initial release, and Google is currently experimenting with two new layouts. left: The current UI. middle, right: The two new UIs. The two new layouts that we're seeing are much more modern-looking than the old UI. There's only one difference between the duo: the positioning of the yes/no buttons. The version that a reader, Nick, sent in has the buttons stacked vertically, whereas my phone has them horizontally. To me, it seems that the horizontal buttons are the way to go, as it would be pretty easy to hit the wrong button with the vertical setup. This is almost certainly the result of server-side changes, so let us know which version you're seeing. And if you haven't yet set two-step verification up for your Google account, you should really consider doing so.